Father’s Day is just days away, and even though you might not have the most sentimental dad, you should still do something to make him feel special and show him you care. If you live in an apartment but you still want to throw an awesome Father’s Day shindig, don’t fret. Even with limited space, you can make your Father’s Day special with a little careful thought and sweet details. Barbecues are a Father’s Day staple, but they aren’t always easy when you live in an apartment. If you have outdoor space, there may be just enough room for a small grill, but you’ll have to make sure your complex allows them. If not, you can use a stove top grill, or explore the common outdoor spaces that are offered at your complex. You apartment may have grills ready to use. Where there’s a will, there’s a way. Choose your dad’s favorite foods, and prepare them with love. You know what your dad likes, and that should be the basis for your decorations. A sweet and easy way to decorate your apartment for Father’s Day is with photos. Find your favorite photos of you and your dad throughout the years and cleverly place them around your home, and on your dinner table. At the end of the day, your dad will have a few keepsakes to take with him, and he’ll have no doubt that you care. Dad’s can be tough to shop for. Everyone knows about the cliché gifts like ties and cologne, and they are perfectly acceptable gifts. Maybe your dad really needs a new tie. A couple of other ideas can include a great book, or some new grilling equipment. Your dad will appreciate the thought put into your apartment barbecue, and your nice gift will wrap the day up in a happy way. Father’s Day doesn’t require a huge backyard and a spacious home. 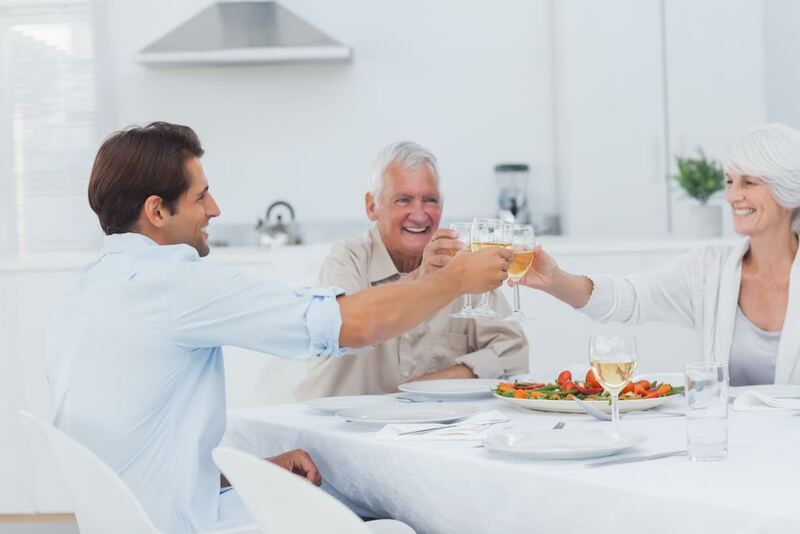 Your dad’s day will be just as great if you set your apartment up in the right way and make use of your apartment’s amenities. Apartment living is easy in Harborside Village Apartments are beautiful waterfront luxury apartments located on the picturesque Gunpowder Cove! To contact Harborside Village, please give us a call at 410-679-1130 or send us an email at leasing@harborsidevillage.com. You can also request a brochure to learn more about life at Harborside Village on our website! This entry was posted on Thursday, June 18th, 2015	at 6:07 pm	. Both comments and pings are currently closed.